Christmas Shopping Tees Just $13.99! Down From $28! You are here: Home / Instagram / Christmas Shopping Tees Just $13.99! Down From $28! Jane is currently offering this Christmas Shopping Tees for just $13.99 down from $27.99! Shipping is $3.99 for the first item and $1.99 for each additional item! 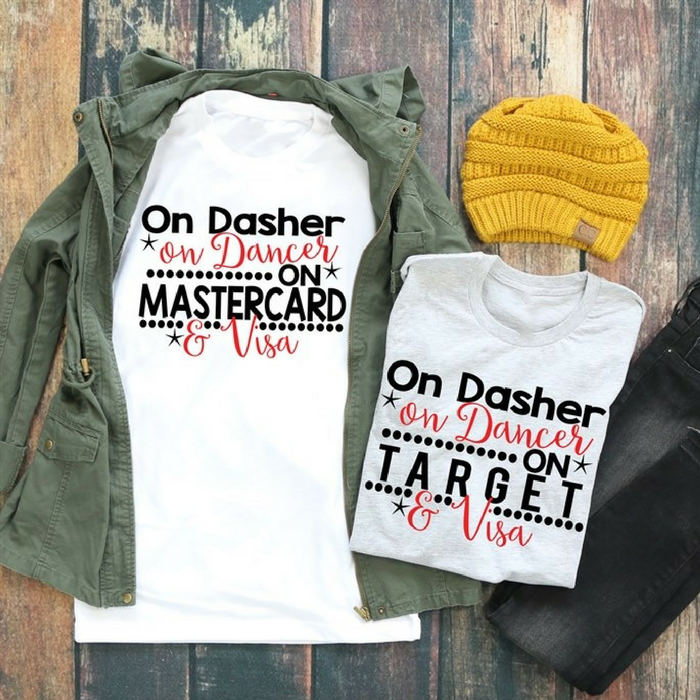 You will love these fun Christmas Shopping Tees! Perfect for the holidays and to get you into the holiday spirit! Available in two fun prints, these will leave you the talk of your family Christmas party! Cute worn with a cardigan and boots! With Unisex sizing, the make a great gift!